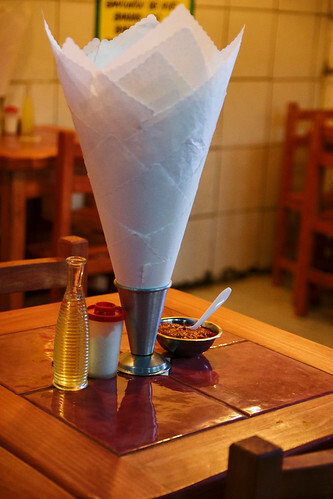 If you are a messy eater, you might need to bring your own napkins when you eat out in Chile. This situation becomes even more hilarious when you order a huge Chilean completo – an overflowing hot dog with all the toppings – and only get a small napkin to help contain the guaranteed mess. Grab a few extra napkins if you can or eat without making a mess and you’ll be fine. The napkin situation highlights the minimalist mindset that is pervasive through Chilean culture. There isn’t really a culture of excess and waste. Use what you need. Buy what you’ll use and don’t leave much — if anything — to throw away. I liked that you could find battery recycling boxes all over the place.